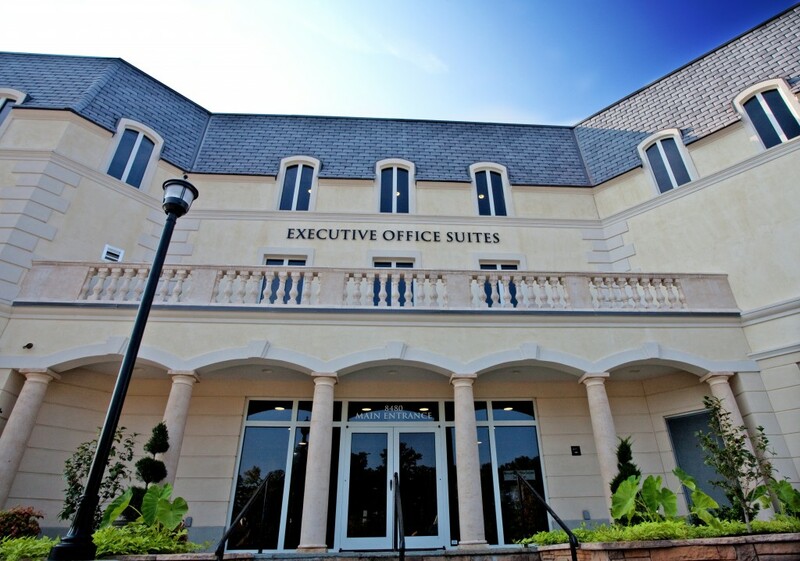 Executive Office Suites is conveniently located at Lafayette Village. Locating your office here will allow you to enjoy the Village lifestyle designed to be gathering place for business and enjoyment both day and evening. Imagine walking from your office via your private elevator down to the beautifully appointed Pennsylvania flagstone streets of Lafayette Village or to your underground parking space. Or walking through the shaded umbrella seating areas where you can enjoy a gourmet coffee while returning calls or meet with clients over lunch or dinner. The thoughtful planning of Executive Office Suites at Lafayette Village includes individually climate controlled offices and high-end ergonomic furniture for your 24/7 productive enjoyment. There’s complimentary covered parking below the village or at the periphery. Conveniently, Executive Office Suites clients and guests may park just outside a main entrance or may choose parking under the building with elevator access directly into the reception area of the office suite. The periphery parking is most convenient to the retail spaces allowing pedestrian entry at multiple locations. Once in the village, all traffic is pedestrian, allowing time in your work day to enjoy a truly beautiful surrounding.